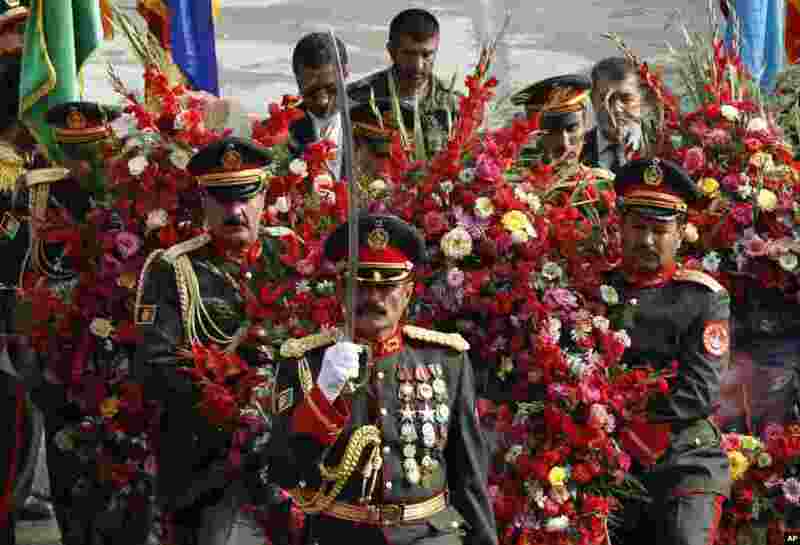 ۱ Afghan guards of honor carry wreaths during a ceremony commemorating the 12th anniversary of Ahmad Shah Massoud's death in Kabul. 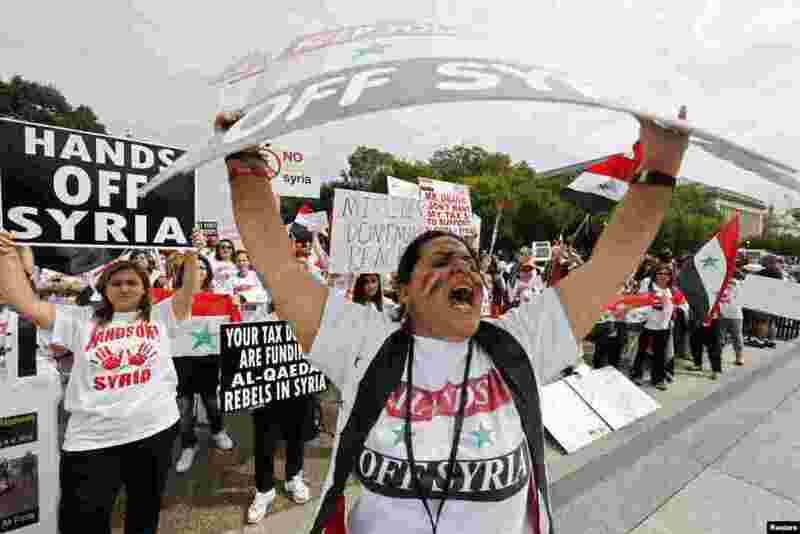 ۲ Syrian-American demonstrator Manar Kodamah leads a chant against possible U.S. military intervention in the conflict in Syria as a group of Syrian-Americans protest in front of the White House in Washington. 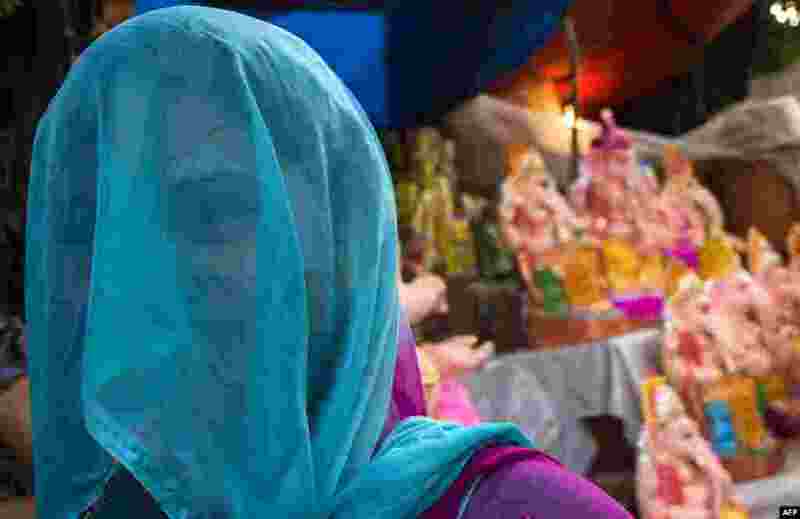 ۳ An Indian artist stands near Ganesh idols for sale on the first day of the Ganesh Chaturthi festival in New Delhi. The Hindu festival is celebrating the rebirth of the God Lord Ganesha and culminates on September 19. 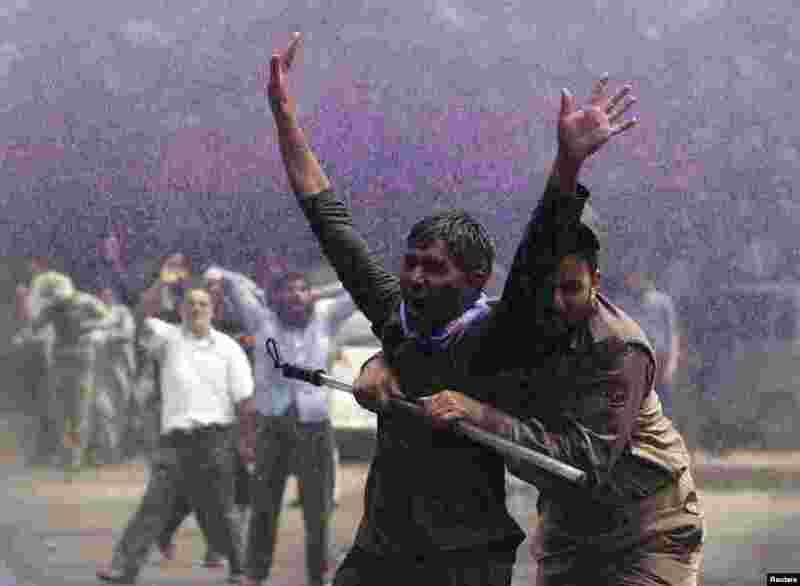 ۴ An Indian policeman detains a government employee during a demonstration in Srinagar. 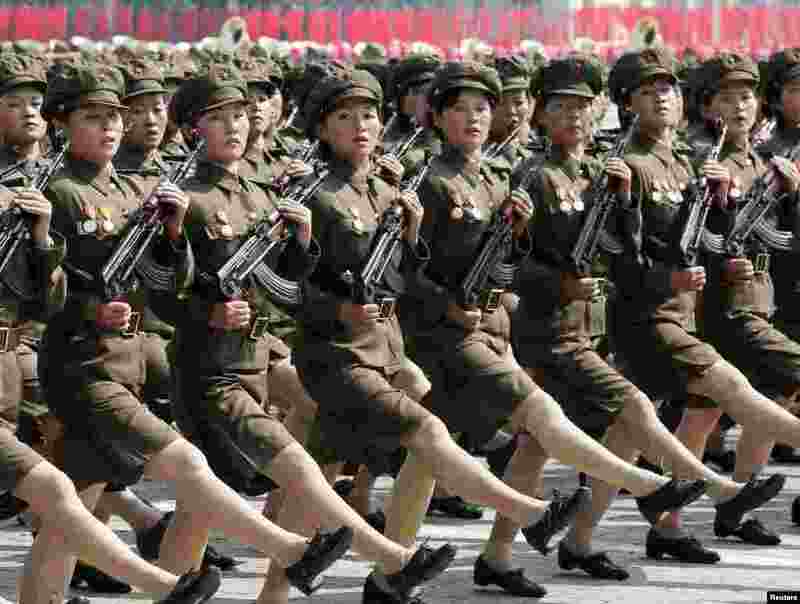 Police detained over 100 protesting government employees as they attempted to reach the civil secretariat. ۵ A volunteer updates results of the mayoral election at the special stand with candidate's faces on Tverskaya street in downtown Moscow, Russia. 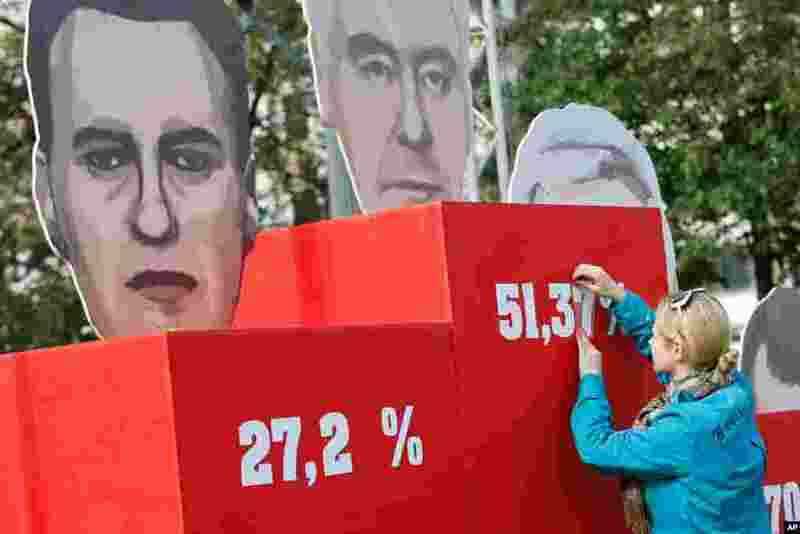 Election officials earlier on Monday said Sergei Sobyanin had won with 51 percent of the vote. 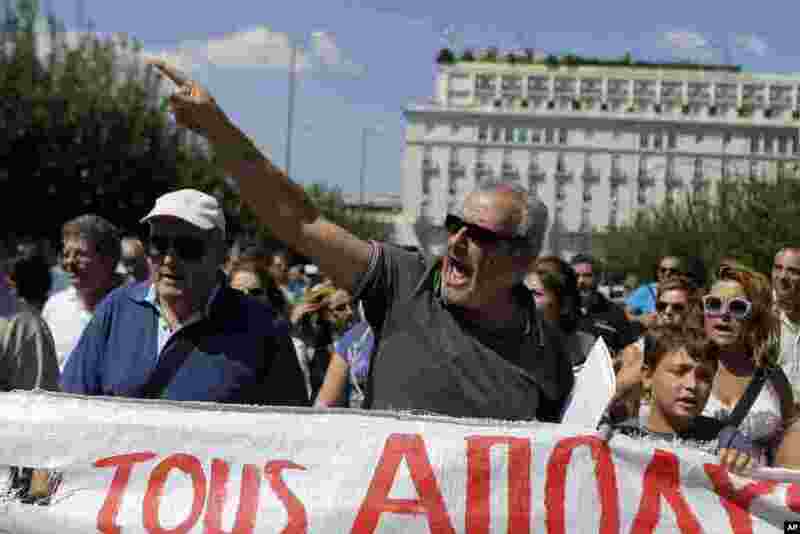 ۶ Workers of Hellenic Arms Industry and Greek Powder, Chemical and Industrial products chant slogans outside the Greek parliament during a protest against government austerity measures which threaten their jobs, in central Athens. 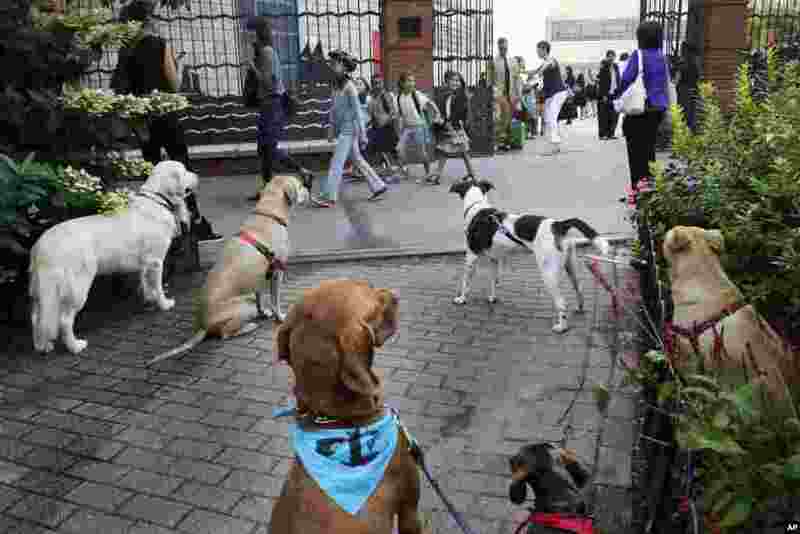 ۷ Dogs that are leashed to a fence outside of PS234, watch as school children line up to enter. The dogs were left outside by owners who brought their children to school. It's the first day back for New York City's 1 million public school students.